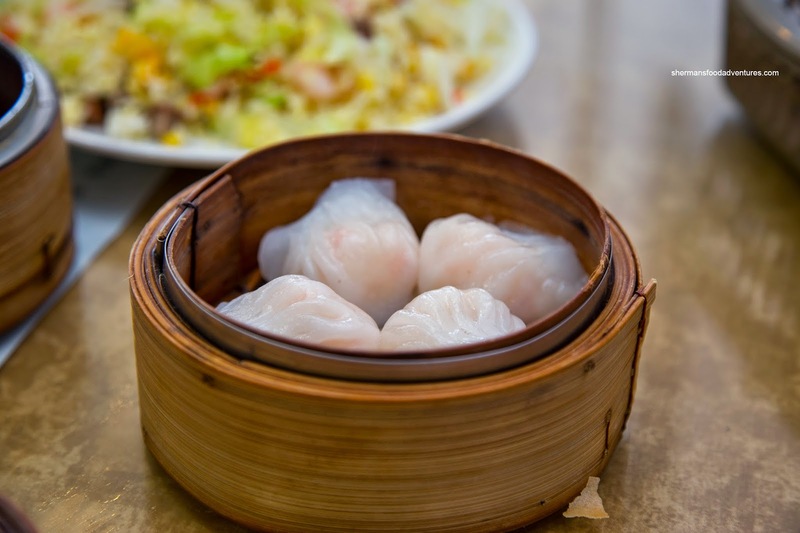 I always find it fascinating that even though there is a significant Chinese population spread out across the GVRD, the availability of Dim Sum is concentrated in only a few places. Of course Richmond is one of them and the other is Vancouver. Sure, there are some in Burnaby, but other than that, you can count on 2 hands for all the other suburbs including Surrey, Delta, New West, the Tri-Cities and the North Shore. 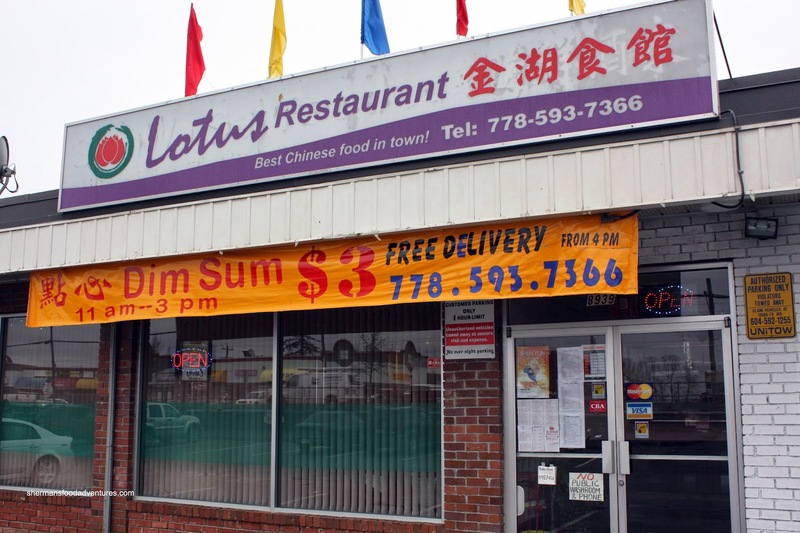 In terms of Delta, there are only 2 and since I've been back to Yummy recently, it was only logical to pay Lotus a visit as well. 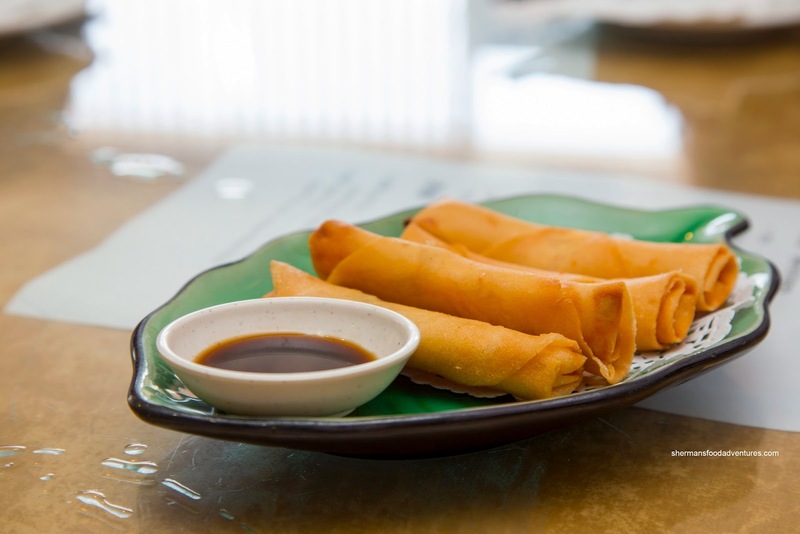 Appearing more petite than usual, the Shrimp Spring Rolls were served smoking hot and crunchy. The shrimp filling wasn't exactly exhibiting any snap, but it was not mushy either. It would be best described as meaty and moist. I thought it was properly seasoned where the side of Worcestershire wasn't really all that necessary. 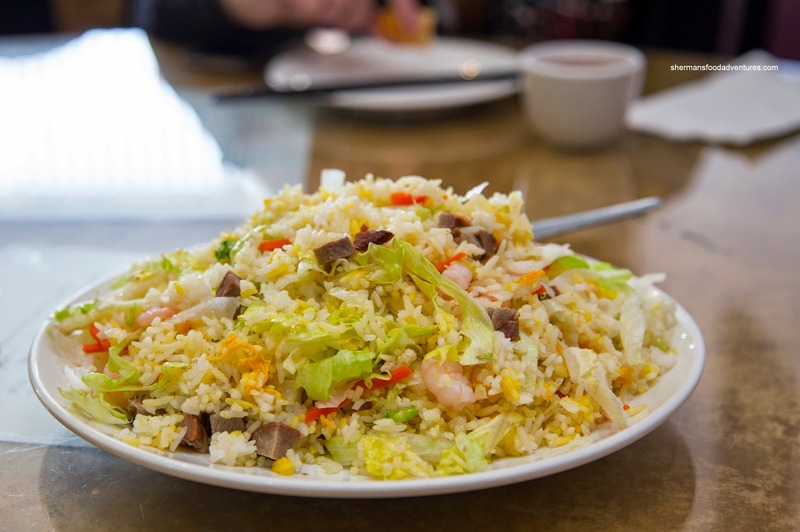 Next, our order of Yeung Chow Fried Rice arrived with an overload of ingredients. Not that we were complaining as the BBQ pork was lean and in big chunks as well as the noticeable amount of shrimp (which only had the slightest of snap). Overall, the rice was lacking in wok heat where it was not caramelized nor seasoned enough either. 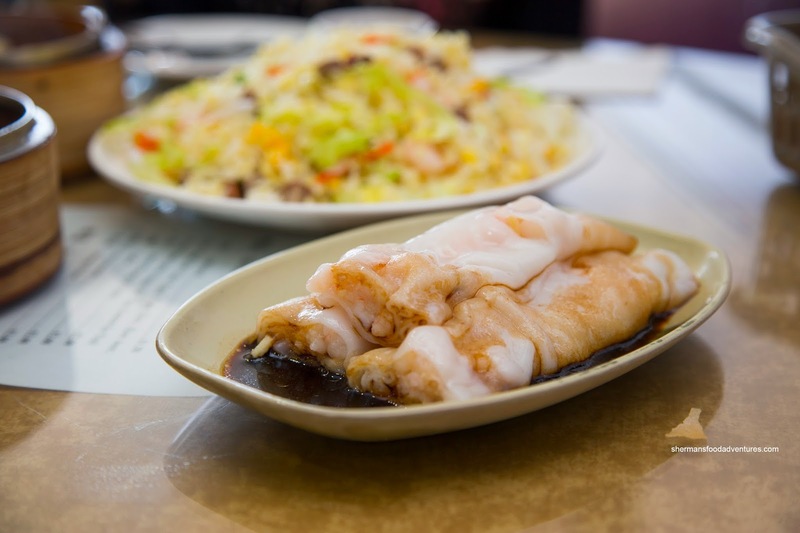 We got 2 orders of the rice noodle rolls including the Shrimp Rice Noodle Roll and BBQ Pork Rice Noodle Roll. These were both large in portion size due to both the amount of noodle and filling. Although a touch thick, the noodles were buttery soft. For some people, it would probably be not chewy enough, but we didn't mind it. Once again, the shrimp wasn't exactly soft nor was it meaty or had any snap. Rather, it was just there and we didn't really notice it other than its flavour (which was a bit salty). As for the BBQ pork, the chunks were once again large and meaty. We much preferred this over the shrimp as the entire roll had more body and texture. 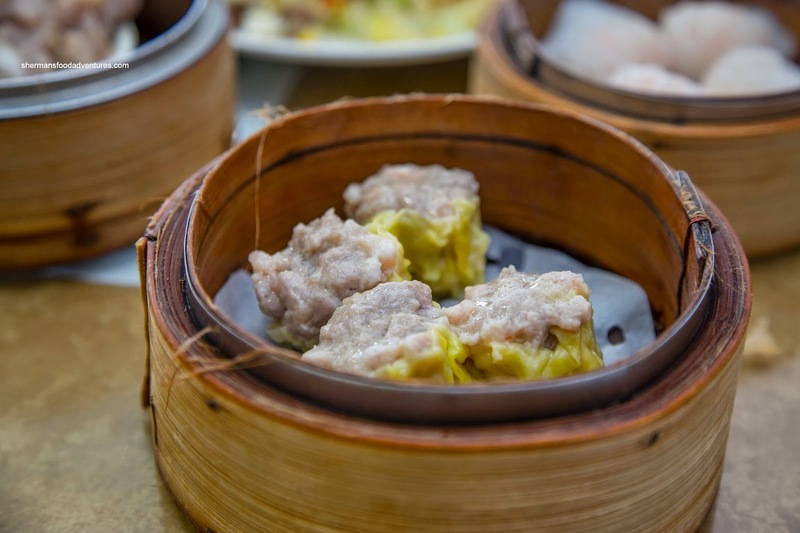 With the Haw Gow and Sui Mai, these were just average. 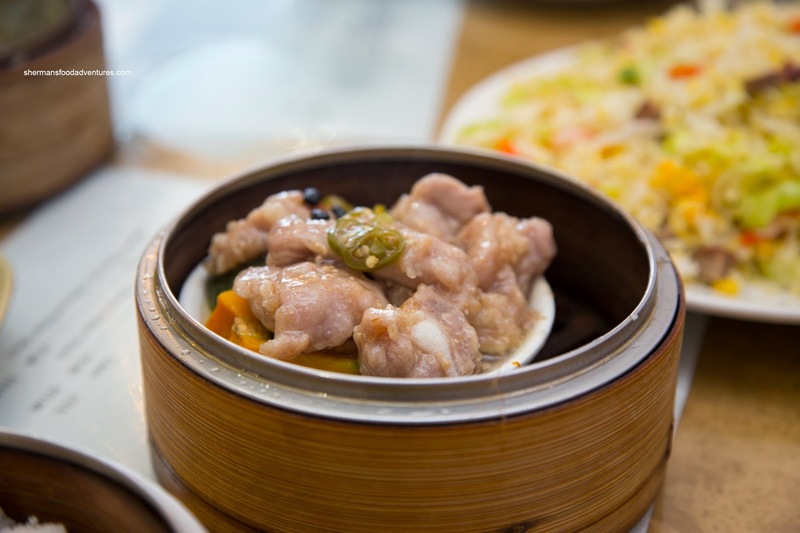 I found the dumpling skin on the haw gow to be on the doughier side as well as being over-steamed. Hence, the dumplings stuck together where we couldn't remove it cleanly from the bamboo steamer. The filling was somewhat soft albeit with a touch of snap. The bamboo shoots were necessary to add the needed textural crunch. Flavourwise, it was quite mild. The sui mai were plain looking and really in need of some tobiko on top. Texturally, they were more meaty chewy than bouncy. However, that didn't mean it wasn't tender though. The flavours were mostly sweet with only a bit of natural meat flavour. This could've used some more shrimp and shiitake mushroom. I liked the Black Bean Spareribs as they were mostly meat pieces without any cartilage. It had a slight bounce from the tenderization while maintaining a meaty chew. I though it was well-seasoned with the saltiness of the black bean and some spice from the peppers. Furthermore, there was no absence of garlic either. 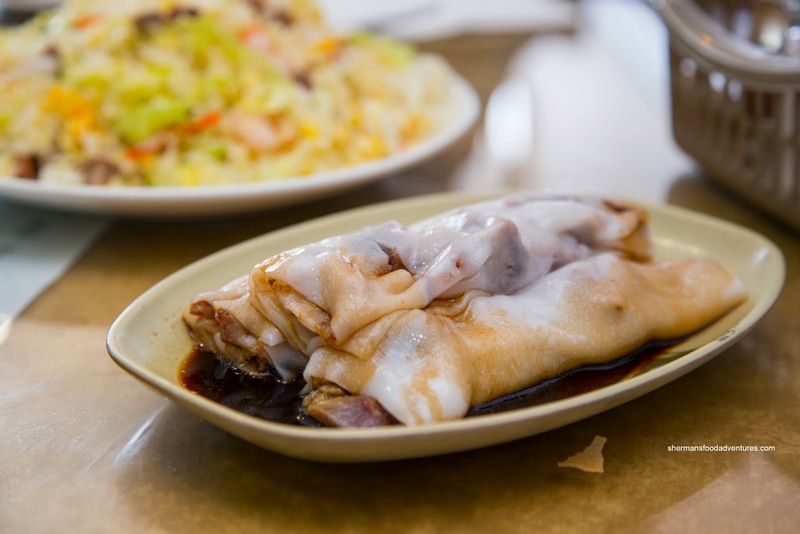 We also got the Lo Mei Gai and these were pretty big for the mini-sized version. 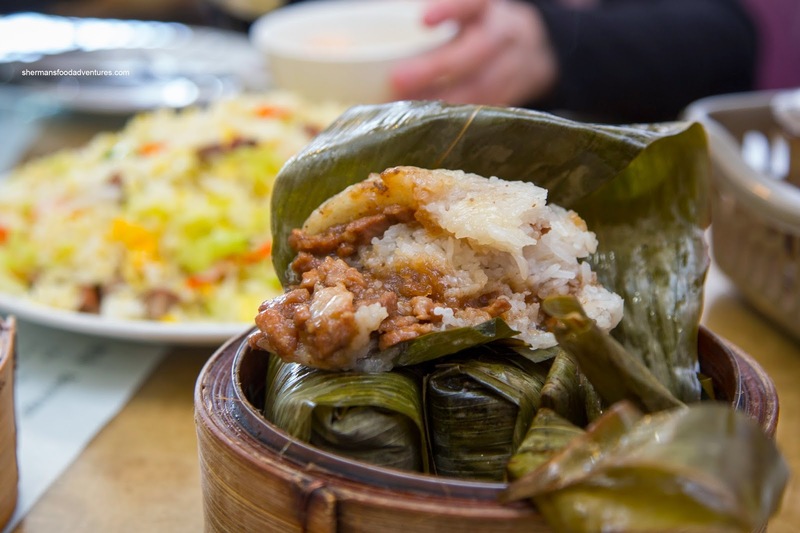 Stuffed in banana leaves, the sticky rice was the right texture in between firm and soft. There was plenty of pork filling and clumpy sauce to go around. Hence, it wasn't longing for flavour nor moisture. In desperate need of something other than red (maybe green peppers? 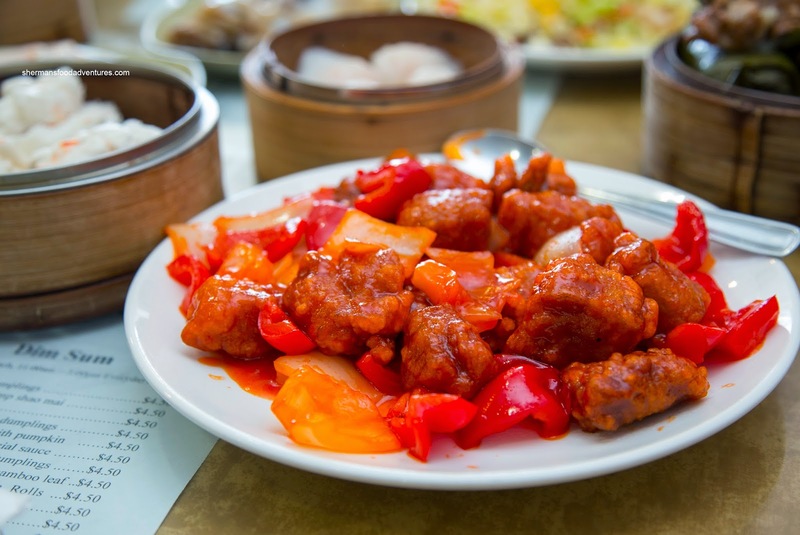 ), the Sweet & Sour Pork was an interesting radioactive shade. I give them full marks for the big chunks of lean pork that appeared to be freshly fried (being moist in the middle unlike refried pork). However, the chunks were far too big which meant that there was a poor sauce-to-meat ratio. Also, the exterior was also not very crunchy. Flavourwise, it was sweet and only mildly tart. Lastly, we had the BBQ Pork Buns (sorry I didn't pose them...). These were fluffy with a sweet mixture of lean BBQ pork. 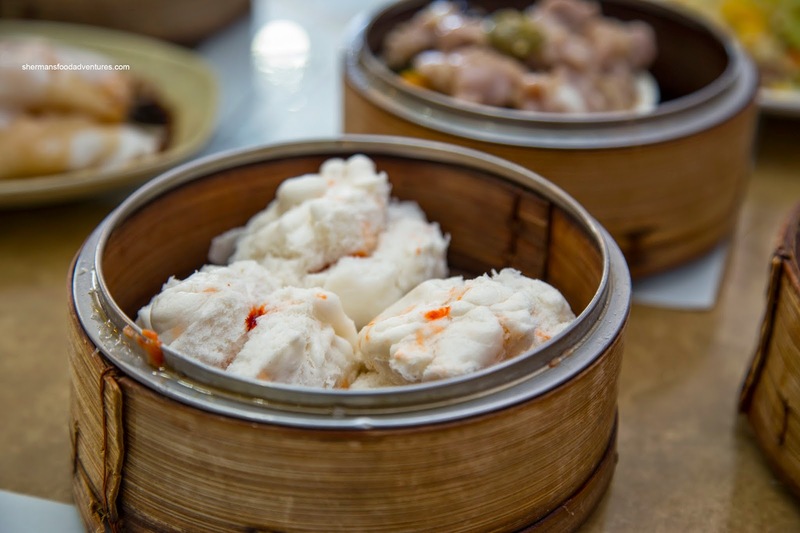 So despite some flaws, the Dim Sum at Lotus can be best categorized as decent, especially considering where it is located.